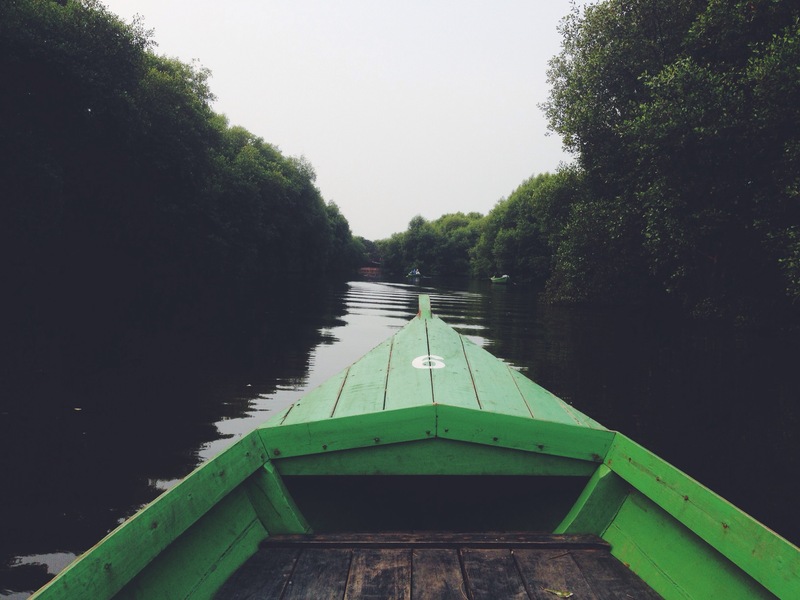 I have been on many different boats and ships in my life and I loved every single one of them. From a rusty fisherman boat in Pulau Seribu and Bunaken, speed boat in the jungle of Sebangau National Park in Central Kalimantan, narrow motor boat on the shallow Krueng Sabee river in Aceh, water taxi on Granville Island, sea-bus at Lonsdale Quay, ferries to Lampung and Sydney Taronga Zoo, kayak in Halong Bay and on the lakes of North Vancouver, bateaux mouches on the Seine in Paris, yacht in the Burrard Inlet on New Year’s Eve, to 5-star cruise ship on the coast of Malaysia and Singapore, you name it. Sailing on a catamaran in Cote d’Azur and canoeing in Alberta lakes are definitely hot on my bucket list. Anyway, occassionally I enjoy hopping on a boat where I can operate it myself, as dangerous as it sounds (I would probably pass a chance to sail on my own). So I was happy to discover that I could rent a row boat not too far from where I lived (read: 40-minute drive on a rare sleepy Sunday afternoon). 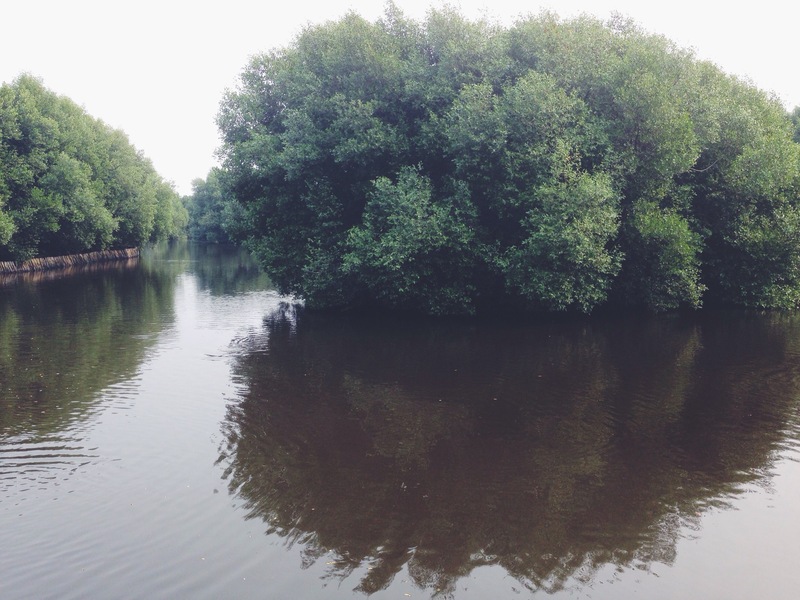 A few weeks ago a friend and I went to the Taman Wisata Alam Mangrove, Pantai Indah Kapuk and we were pleseantly surprised by this little green oasis in the middle of North Jakarta, which was usually hot and humid due to its proximity to the sea. 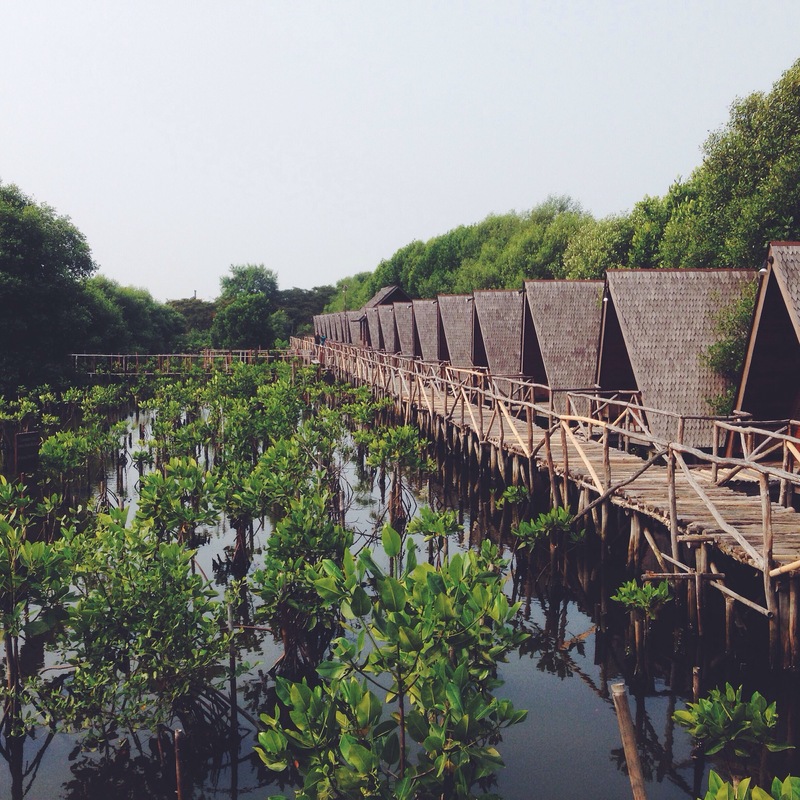 The mangrove conservation park wasn’t too big. Unless you want to camp overnight in one of the wooden cabins, or do a cheesy pre-wedding photo op in 3 different dresses (which people loved to do over there), you could explore it in 2-3 hours. Before getting to the water recreation area, we wandered a bit to the wooden walkway on the creek and just took in the view and fresh air. 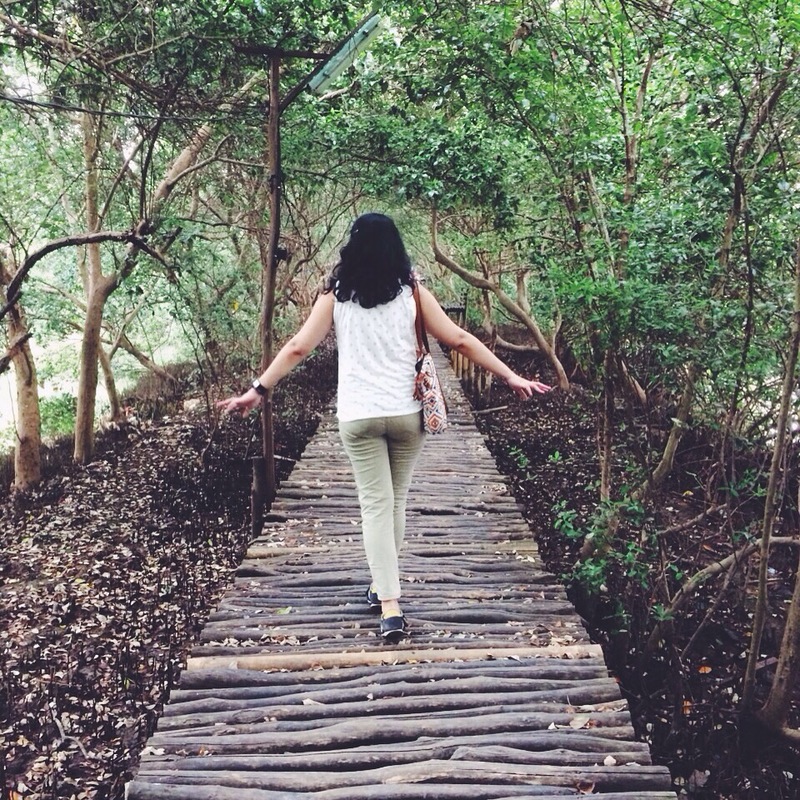 Although the walkway seemed quite solid, we had to watch our steps for uneven wood logs and big nails sticking out. We got there around 3 in the afternoon, which was perfect because the weather wasn’t too sticky. Plus, there weren’t too many people around so the boats were all still available. I noticed they had a couple of kayaks and a few row boats, and we chose the latter. The rental only cost Rp100.000, supposedly for an hour, but the operator guy didn’t say anything except that we weren’t allowed to go further than the big bridge. As I sat on the front seat, my friend on the back, we took one paddle each and started paddling. As we figured our way to advance the boat, I remembered the time I was kayaking in Halong Bay, Vietnam. Thanks to two of my traitor friends who left me on my own (j/k, I love them), I ended up hopping on a tiny kayak with a big outdoors-y German who’d been traveling around Asia for 8 months. As you could imagine, I left all the paddling to the expert. Apparently me, and a couple of college boys from Jakarta who were just as clueless with their paddles, confused him. “You guys come from a country of waters and oceans, you should be better at this than I am!” he said. I couldn’t tell if he was joking or actually being condescending, but admittedly our egos were wounded a little. After paddling for a few minutes, and spotting a couple of suspicious creatures (most likely lizards) crossing the water in front of us, we started to get the hang of it. Really guys, it’s not that hard. 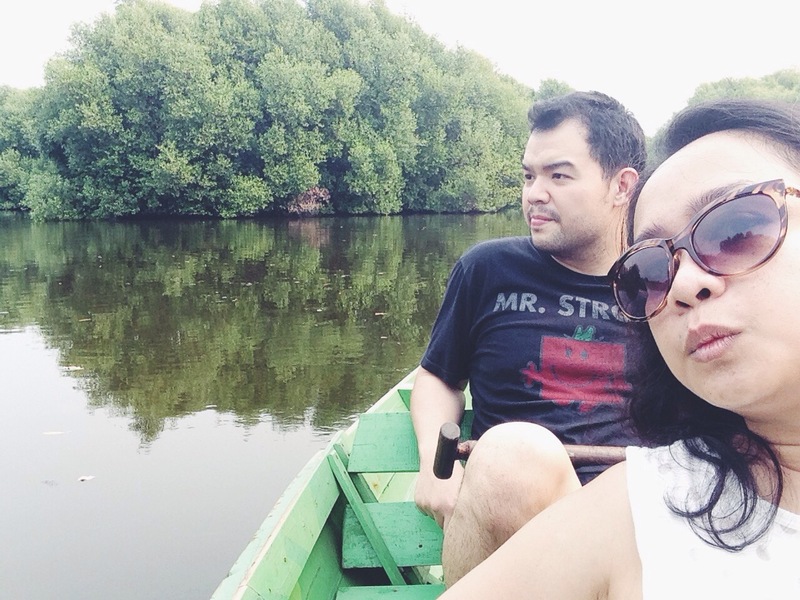 I mean, we managed to maneuver into small turns and openings between the mangrove trees in no time! So we just let the boat float on its own for a while and occassionally steered it in the right direction (like when we almost side swept a bush). Disappointingly, along the way we didn’t spot any other interesting wildlife animals, except a flock of birds flapping away on top of the trees. But about 45 minutes in, suddenly we weren’t alone in the water anymore. As more and more people showed up on their boats, we decided to head back. This time we chose a different and more challenging route (we had to slide into a narrow lane near the dock where they kept the boats) and managed to park our boat nicely without a scratch. We’re definitely going to do this again and perfect our rowing skill.